Annie Lucille Greene has been drawing pictures about her life and times for over half a century. A natural artistic talent led to a career teaching art for 35 years in LaGrange, Georgia, where she still lives. 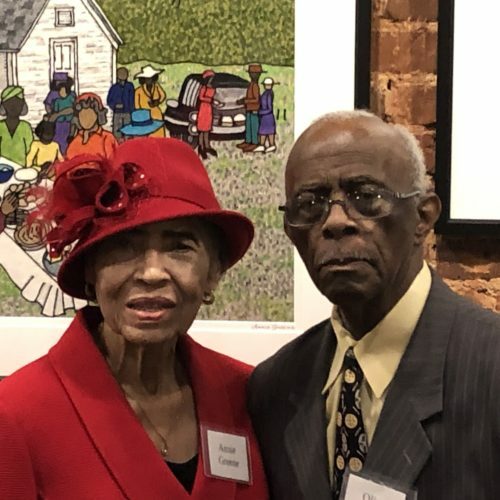 Talented in many artistic genres, Mrs. Greene became famous for her paintings in yarn, which are fascinating because they tell stories from her life. 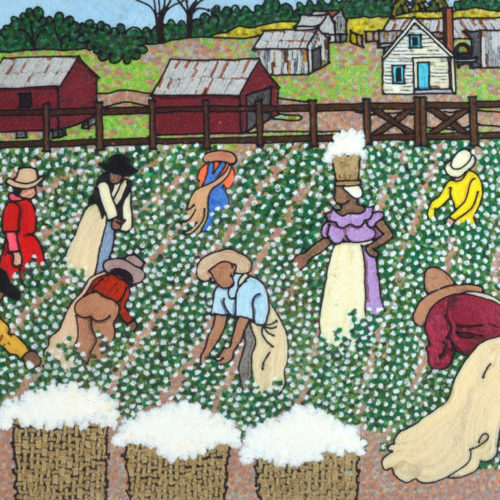 On December 8, she will debut her most challenging series of yarn paintings along with the book, What Color is Water: Growing up Black in a Segregated South at Artisans on the Square, in Greenville, GA. 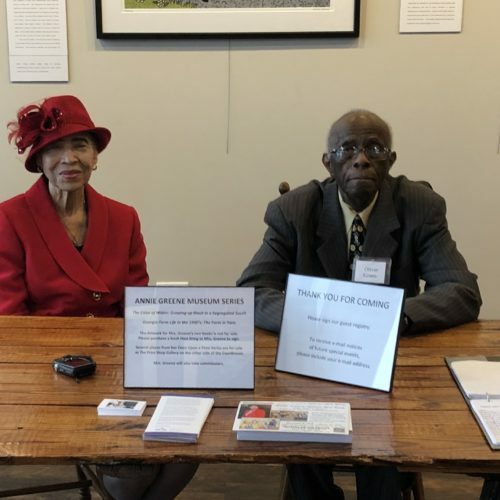 The exhibit will continue until March 30, 2019 and will also include her first book Georgia Farm Life in the ‘40’s, along with 37 yarn paintings, which have not been exhibited in over five years. 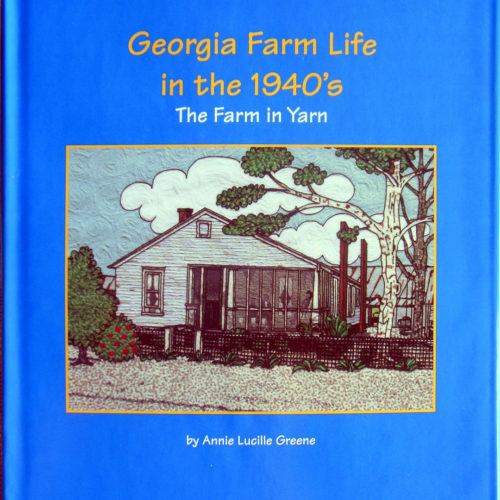 Georgia Farm Life in the ‘40’s: The Farm in Yarn, is a series of stories and yarn paintings based on the summers of 1944 and 1945 spent on her grandparents’ farm in Adel, GA. This 37-piece museum collection was introduced at The Chattahoochee Valley Art Museum in LaGrange in 2001 and has toured Georgia museums in Albany, Moultrie, Atlanta, Valdosta, Douglasville, Calhoun, Marietta, Tifton and Perry. This series illustrates the culture of the family farm, defined by strong family, strong faith and hard work, not only in Georgia in the 1940’s, but all over the country in all eras for as long as the family farm survived. What Color is Water: Growing up Black in a Segregated South tells Annie Greene’s story – a story of success nurtured by family, faith and hard work. She tells her story with grace and without bitterness. Her parents were educators, which was one of very few ways blacks could improve their circumstances in the south before desegregation. They taught her to be proud of who she was and to live with dignity. 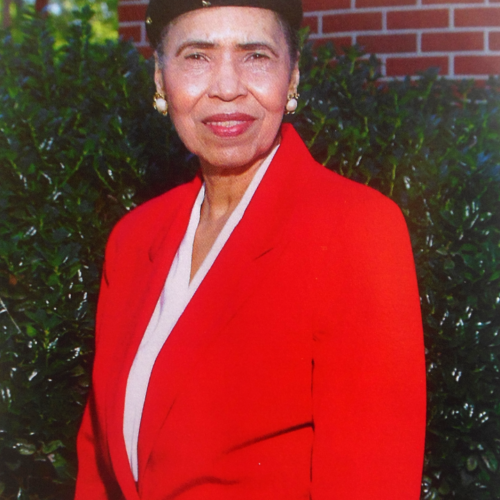 She finished high school in Hogansville, GA, attended Spelman College in Atlanta for a few years, completed her undergraduate degree at Albany State College and began teaching in Thomasville, GA in 1954. 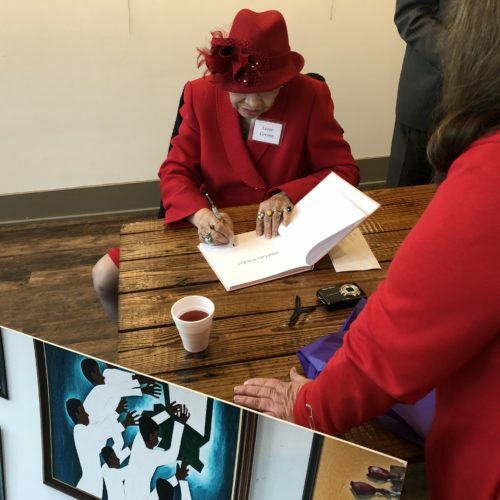 She earned a master’s degree in art education from New York University in 1961 because the State of Georgia gave her an out-of-state tuition voucher. Many southern states used tuition vouchers to avoid the expense of providing “separate but equal” post graduate educational opportunities for blacks. Her husband Oliver also earned his six-year degree at Columbia University on a tuition voucher. The NYU experience provided a wealth of cultural opportunities she might otherwise have missed and inspired her lifelong desire to travel and experience other cultures. What Color is Water? 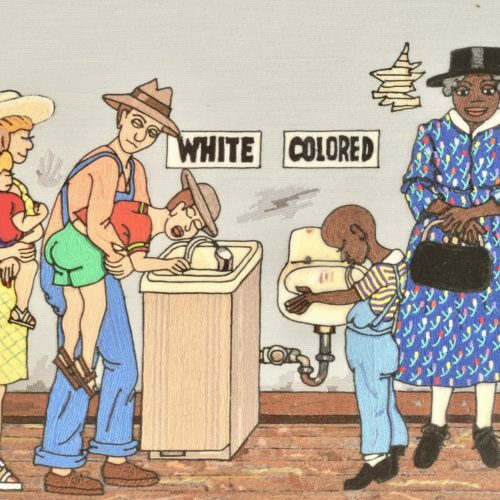 reminds us of inequities many would like to forget – racial segregation of all public and private facilities, schools, bathrooms, water fountains, hotels, restaurants, transportation and entertainment. The stories are told in colorful yarn paintings with touches of humor, so they are not depressing but leave us grateful that the stories are of times gone by. 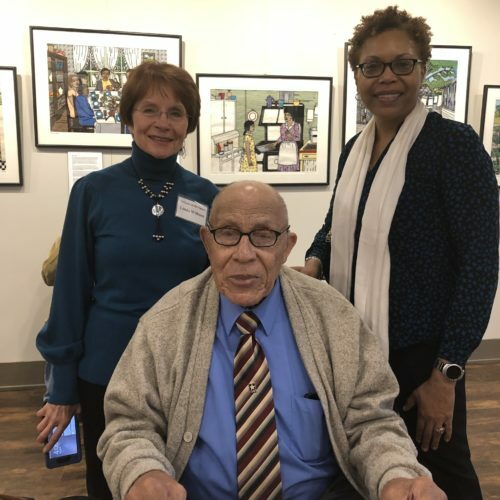 Unequal opportunities and discrimination did not prevent Annie Greene from achieving success in every aspect of her life, as a wife, mother, teacher, artist, community and church leader. The book ends shortly after school desegregation, but her story continues and her stature in the community continues to grow – enough material for another series – perhaps The Rest of the Story? The exhibit will continue until March 30 to allow time for school, church and community groups to experience this important period of history told in yarn paintings. Both books will be available for purchase and Mrs. Greene will be available at the opening reception on December 8 from 3:00 – 6:00 and upon request. The remaining pieces from her popular Once Upon a Time series will be available for purchase at The Print Shop Gallery, also on the square in downtown Greenville. For more information, call or text Linda Wilburn at (404)386-1328 to schedule group visits.